Illustrate your good deeds and imagine the ripple effect! Every nice thing we do, no matter how small, plants seeds of peace. Have every member of your family illustrate one simple way they can change the world. Have each family member think of one small way they can spread peace. Illustrate the idea using words, pictures, or even a collage. Compliment someone at school each day. Pick up litter when I take a walk. Turn off lights when I leave a room. Leave a sweet note in a library book before I return it. Say "I’m sorry" when I’m wrong. Call my grandparents every week and tell them I love them. Write notes to people who have been good to me. People talk about kindness having a “ripple effect.” What do you think that means? Do you remember a time when someone was kind to you? How did it feel? How does it feel when you do something kind for someone? Let’s think up (and write down) all the ways people can be kind to one another. You sometimes hear that people’s kindness is reflected back to them. What do you think that means? Somebody Loves You, Mr. Hatch by Eileen Spinelli (Simon and Schuster Books for Young Readers, 1996). Ages 3 and up. A grumpy, lonely man discovers the importance of friendship when he receives an unexpected package from an admirer. The Giving Book: Open the Door to a Lifetime of Giving by Ellen Sabin (Watering Can, 2004). Ages 4 and up. This is a wonderful tool to help elementary-school kids understand and set their own charitable priorities. It’s one part journal, one part workbook, and one part cheerleader for doing good. Keep a pile of blank “My Act of Kindness” sheets handy so anyone in the family can do a drawing whenever an idea arises. String a clothesline across a large window. Attach all the “act of kindness” illustrations your family completes. Decorate an inexpensive three-ring binder. Use it to store your family’s acts-of-kindness artwork, then review them once a year as a reminder of what you planned to do. 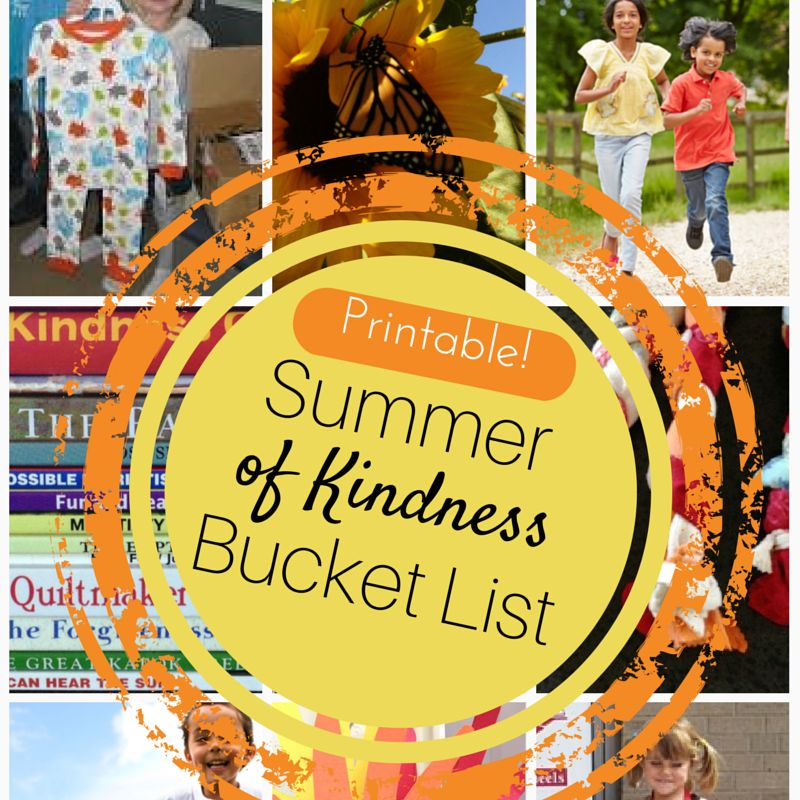 Are you looking for more great ways to celebrate quick acts of kindness?